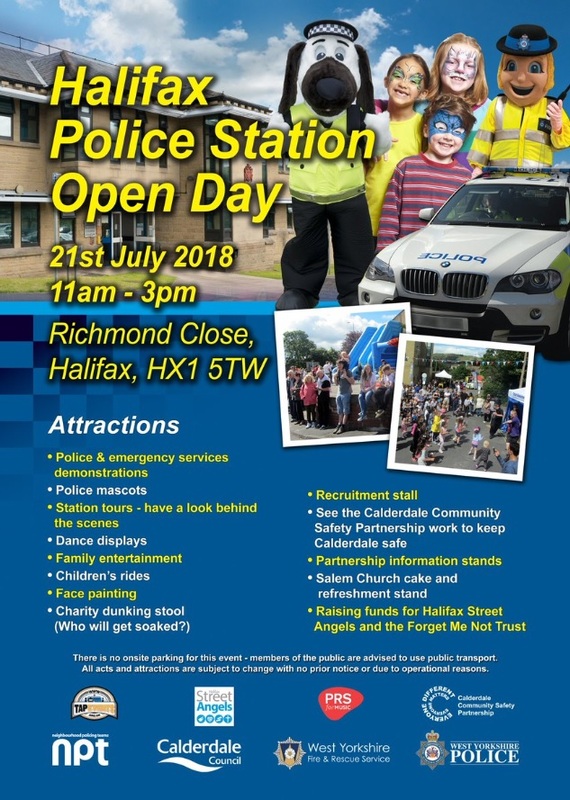 Halifax Police Station will be holding an open day on Saturday 21 July, 11:00am-3:00pm at Richmond Close, HX1 5TW. Along with demonstrations by police and other emergency services there will be dance displays, family entertainment, children’s rides and much more. Please note there is no on-site parking so you are advised to travel by public transport.